Ginger Bites, a perfect option for snacking and munching best healthy gifts for any special occasions. 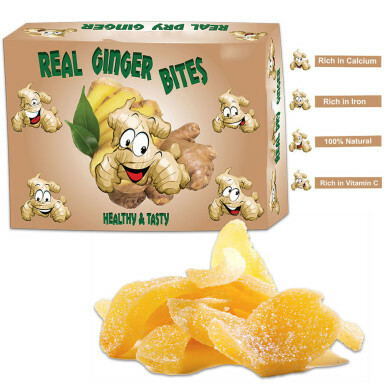 It contains pure ginger in the dried form, rich in vitamins and minerals. It's easy to carry and available all around the year. A perfect anytime healthy snack can be taken in the office or between the meals. No added color and no added preservatives. Isn't this a healthy gift for your loved ones? So, when are you placing your order for this pack of ginger bites? Visit us today!